Watches top a list of industries most susceptible to counterfeiting, with Rolex among the “most intensely” targeted brand of any sector, new research shows. In what represents one of the most in-depth studies ever released on counterfeiting in the European Union, analysis from the OECD and the EU’s Intellectual Property Office reveals that the value of fake goods sold worldwide now stands at more than $461 billion (£316 billion). The study identified the sectors most targeted by counterfeiters using a weighted index of two sub-components: values of counterfeit and pirated products in absolute terms in a given product category, and share of trade in counterfeit and pirated products in that category. Watches topped the list followed by leather goods, headgear, footwear and perfumes. The study was carried out on counterfeit seizures made for the period between 2011 and 2013. Most counterfeit goods originate in middle income or emerging countries, with China the top producer, according to the research. The 138-page report revealed that there are two market segments that counterfeiters target: primary markets and secondary markets. In primary markets, prices are expected to be close to those of legitimate products, whereas larger dispersions are expected in secondary markets. Consumers that knowingly purchase an IP infringing product may expect to pay a lower price for it than for a genuine product. It stated that Rolex, along with Nike, Ray Ban and Louis Vuitton were “more intensely” targeted by counterfeiters. Analysis suggests a counterfeit Rolex can fetch a value of anywhere between $5 and $20,000 (£3.50 and £13,700). The report said it is likely that Rolex watches with very low prices target the secondary sub-market, where prices are much lower and consumers intentionally demand and purchase IP infringing goods. “Some may be advertised as ‘replicas’ which refers to watches that do not pretend to be genuine but attempt to convince a buyer that it is of a high quality that is identical to the original good,” it observed. The import of counterfeit and pirated goods now represents around 2.5% of global imports, with US, Italian and French brands the hardest hit and many of the proceeds going to organised crime, the OECD and the EU’s Intellectual Property Office said. Up to 5% of goods imported into the European Union are fakes, it claims. Recently I was reading some information on counterfeiting. 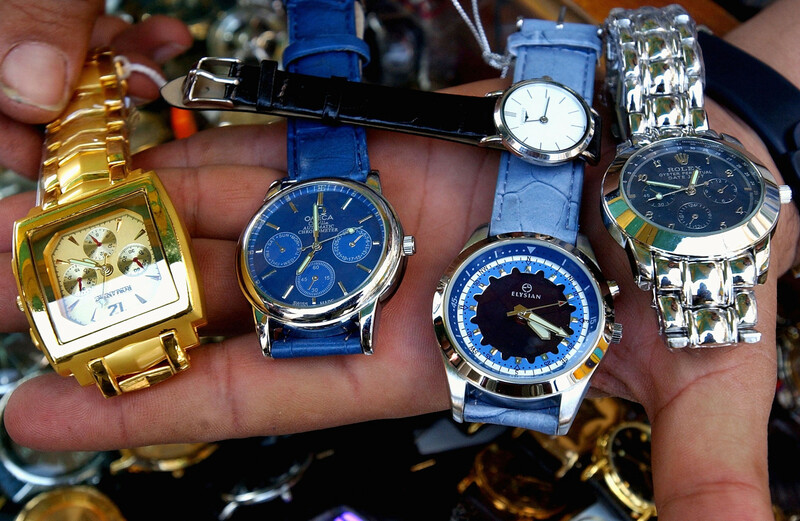 I came across the following headline-“Watch market hammered by £300 billion counterfeit trade”. I’m not certain of the most effective contact in your organization. However, I would like to suggest that my firm, SignaKey, may have an approach that would work for you. I am hoping you can help me to discover the person or persons who would be most interested in eliminating the counterfeit challenge.